After more than a year of development, we are super stoked to have a hand full of the coolest and most versatile paint brushes we have ever offered. 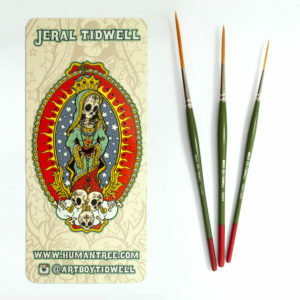 For this set, Jeral consulted with one of the most well rounded painters he has ever know… his wife Sarah. With her input, the set was elevated to a whole new level. This 7 pc. set (Better Half, Big Filly, Shady, Foxy, Super Slim, Lil’Filly, Monkey Whisker) is the next step in our collective painting evolution. 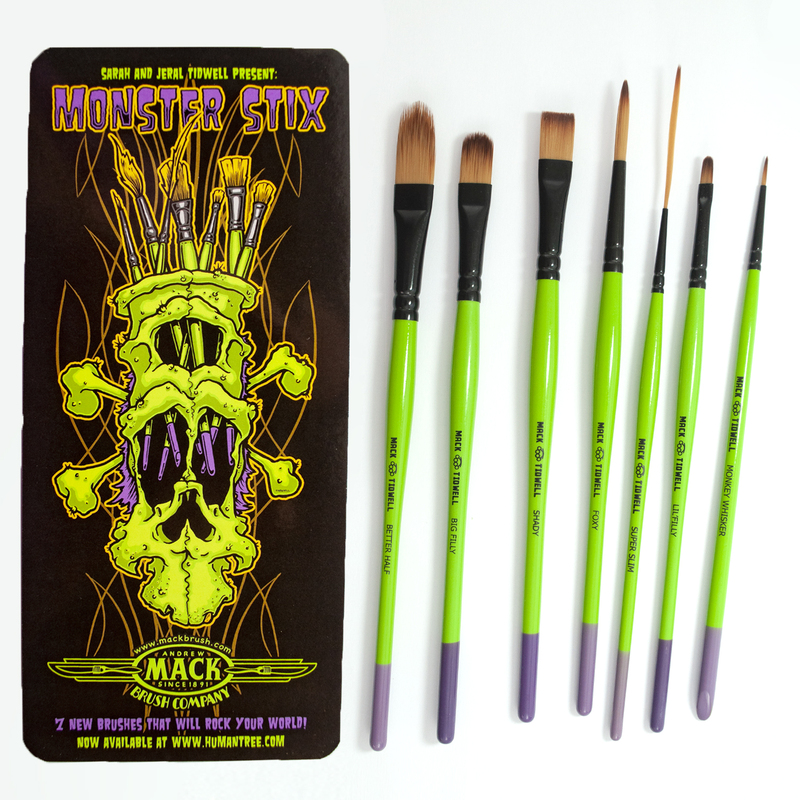 Long lines, tiny details, smooth shading, and just plain ole rocking it out… these bad boys have got you covered. 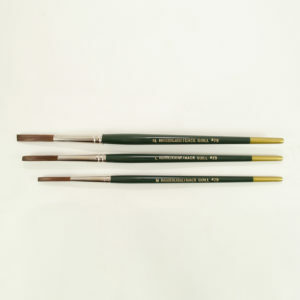 The finest quality multi-diameter, silky soft, flagged Taklon, specially selected and blended together to achieve the performance of the best red sable, but with the durability of a synthetic brush. The ratio of our blend gives you a unique and superior capillary action in the release of color, far beyond other single diameter material offered by other manufacturers. 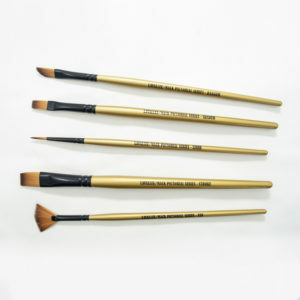 These brushes are very versatile and durable, and I recommend you try them for all your pictorial needs. 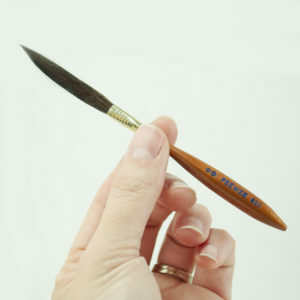 Also, you can use the two flat brushes for some awesome dry brush effects! 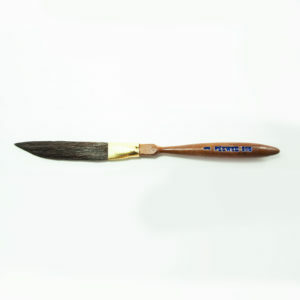 The 1/2" or Flat Brush is used for laying in larger areas of background colors, such as, sky, mountains, etc., and also for super dry brush slash effects that are very popular in the automotive paint business. The Shader is a smaller version of the 1/2" and is used for smaller details like rocks, trees, feathers, etc. The Dagger (my personal favorite!) 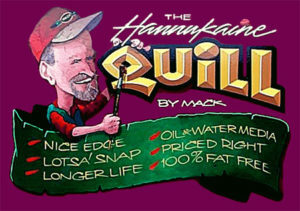 is used for a multitude of things such as long quill like strokes, tall grasses, trees, also straight lines. Just experiment with this one! The Fan Brush can be used for rendering fur, bush, trees, water, etc. 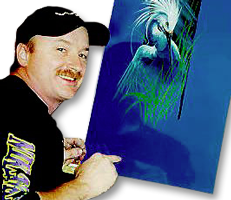 The Detailer is used for all tiny strokes like individual hairs, small feathers, etc. 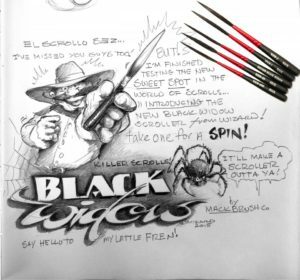 Also, I like to use it to do broken outlines around my dry brush strokes and lettering. Available As A 5 Pc. Set Or Individually! This series is a full synthetic filament mixture.